Each month JB Picture Framing Studio will present the “Picture of the Month”. These framed artworks are available for purchase. Please contact us if you have questions concerning this art. Framing Components: This is a great rare original poster that is in good shape for being 20 years old. There are a few scuffs but the color is great and the scuff do not detract from the ascetics of the art. 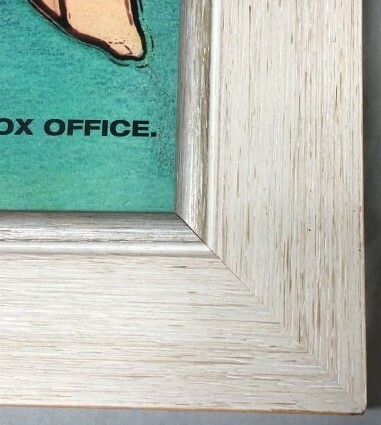 The frame is a nice wood frame and the art is covered with 99% UV block Museum Glass. A dust cover and hanging wire is installed making this art ready for display. Size of Frame: Approximate overall size of the frame is 21-1/2 X 31-1/2″. Size of Image: Approximate image size is 17-3/8 X 27-3/8″. 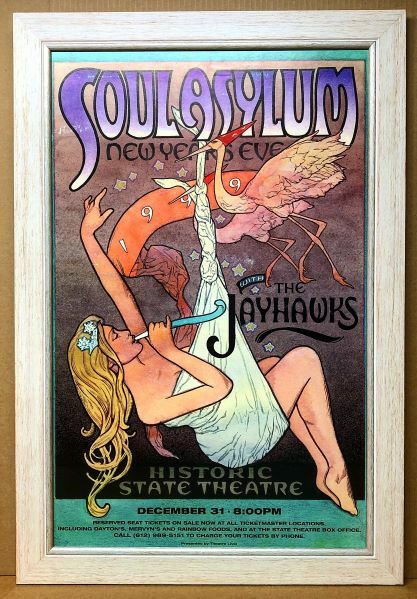 Price: This beautifully framed rare poster is being offered for sale for $199.00. It is a wonderful piece of art that will display beautifully in any family/media room of your home. Payment accepted: Payment can be made by Cash, Personal Check, Money Order, Cashier’s Check, or Credit Card. Delivery: I will gladly make an appointment for you to view and pick up or if you live outside the Minneapolis/St Paul area I will ship for a small additional cost.